Defending the ducks from the dinghy devils! 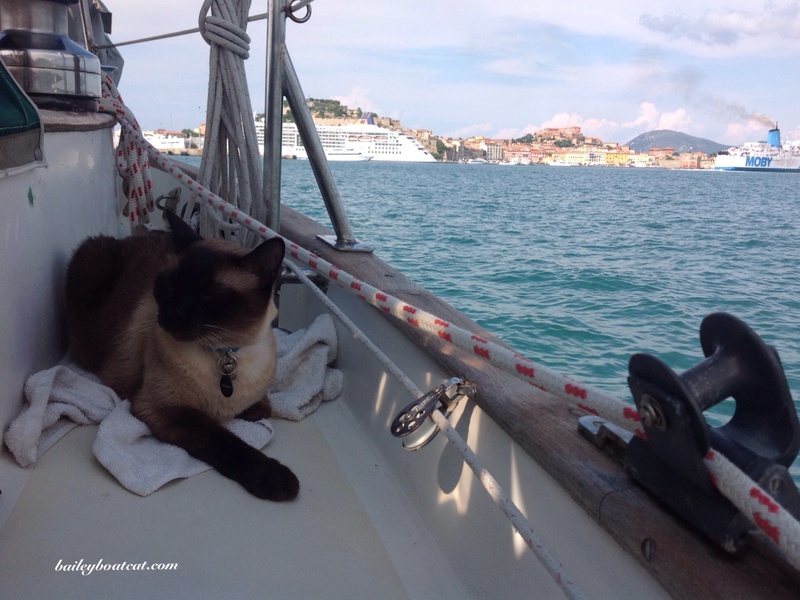 Normally when we sail away the humans and I like to keep moving and visit lots of different places. 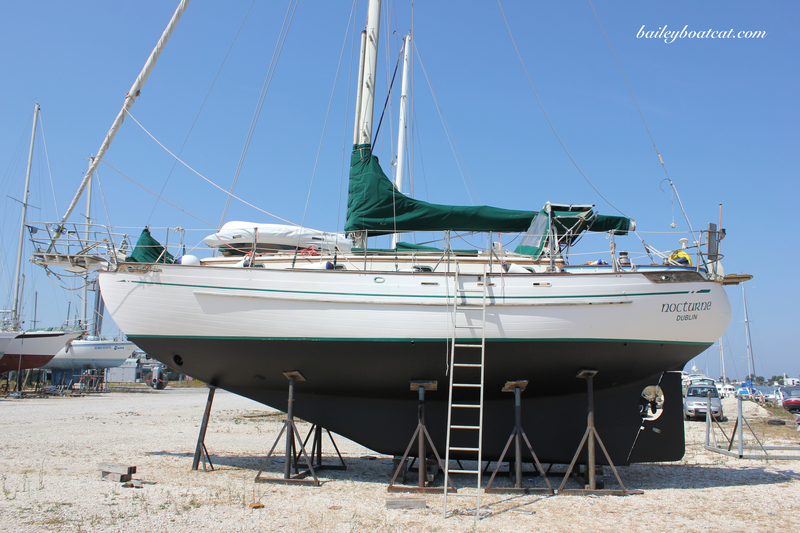 They haven’t sorted out the ‘work thing’ yet, so we always have to get back to our base marina within a few weeks. We’ve been in Portoferraio for four full days now though. We LOVE it here! The humans climbed the fort and learnt all about the history. 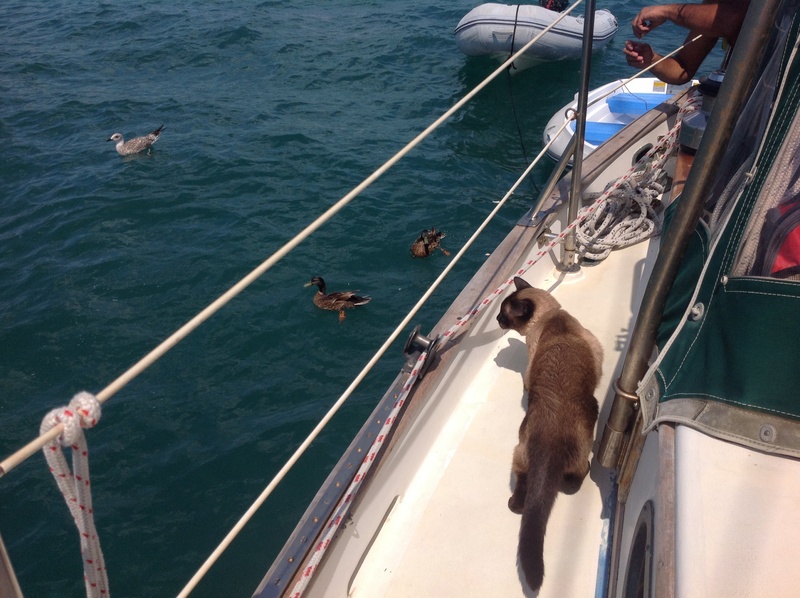 I’ve made loads of new furiends all around the anchorage. My newest furiends are a cute pair of ducks! I said to them last night if they came back today I’d feed them any bread the humans had left over. The only trouble was some sneaky dinghy devils came too to try and steal it! So I set to work defending the ducks while they ate. The gutless dinghy devils won’t come near the boat when they see me! I think it’s because I’m so fierce! It was funny to see them all make a ring and watch the ducks enjoy the bread! I’ve spent most of the afternoon laughing at the humans and enjoying the view here. My silly humans really messed up. I’m giving them a day’s grace while I debrief them and make sure they’ve learnt their lesson, but tomorrow I’m going to confess what they did to all of you! Have a pawesome weekend evfurryone! « Making furiends with Max! 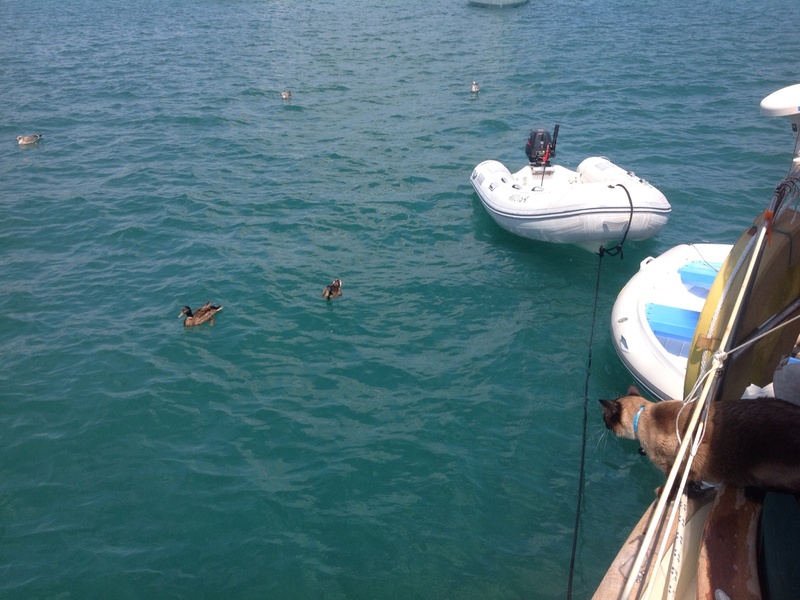 Bravo for you keeping those dinghy devils at bay so the duckies could eat….can’t wait to hear what your humans did – I bet it’s funny right???? Bailey, you truly have a wonderful existence! I wish I could stow away with you!! Pat Keep up the good patrol work. Was one of those you protected Francis Drake, perchance? 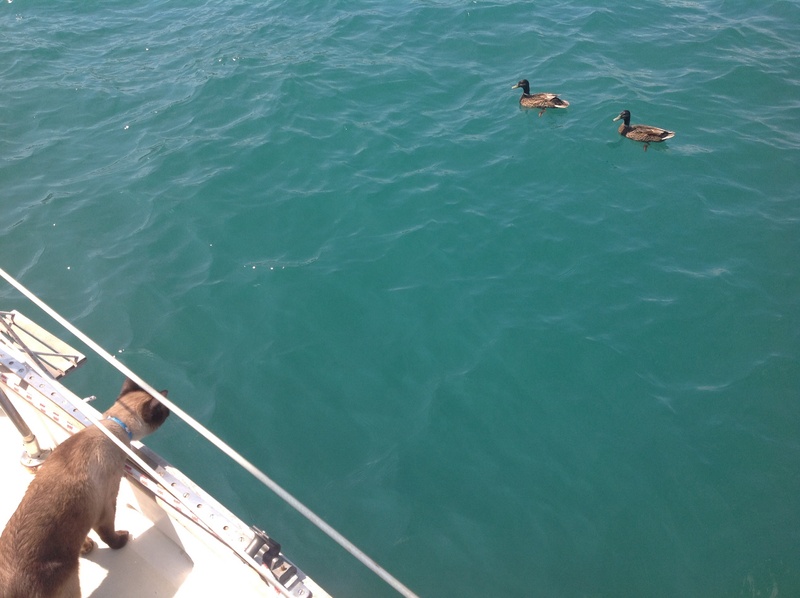 Bailey, you are a fierce boat guardian – that is why the dinghy devils won’t come near! You sure kept those dinghy devils away. 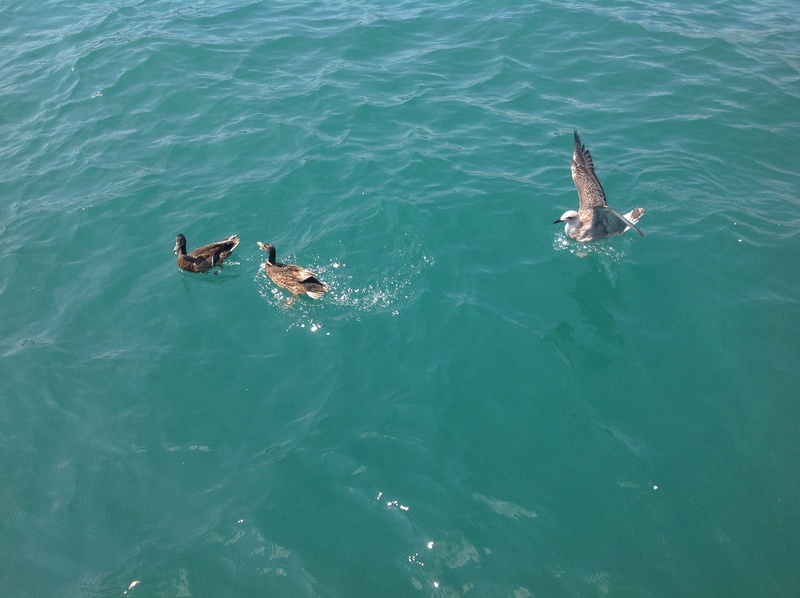 The birds were fed….you did your good deed for the day. You put those dingy devils right in dere place! Way to keep those dingy devils at bay Bailey! Can’t wait to hear what the humans have done now. See you tomorrow!